West River offers a number of activities for retreat guests to enjoy. All activities are weather-dependent and most require staff supervision, so please let us know in advance if your group is interested in any of these activities. The Giant Swing is just that — a huge 40-foot swing! 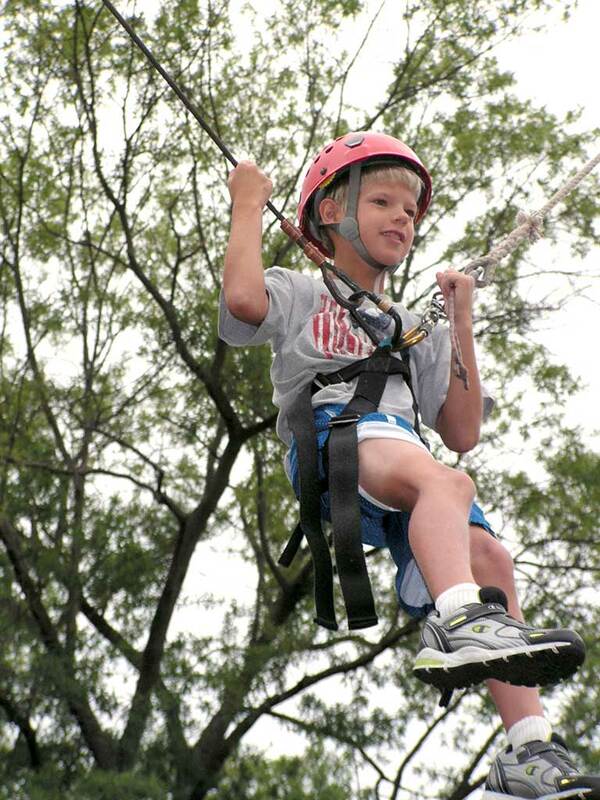 It is considered a high-ropes element and requires all participants to be harnessed and helmeted. Participants will climb a ladder to be connected to the apparatus then their team will raise them up to their comfort level, (total height is 40-feet in the air), once stopped the participant will pull a release cord and then free fall for about 6-10 feet before the apparatus catches and they swing. This is a great activity for groups of all sizes and ages. All participants are harnessed and helmeted. The bouldering wall offers guests some time to practice and challenges them to climb side-to-side. The Climbing Wall offers three sides, one slightly angled for beginners, one straight with overhangs and a cargo net. 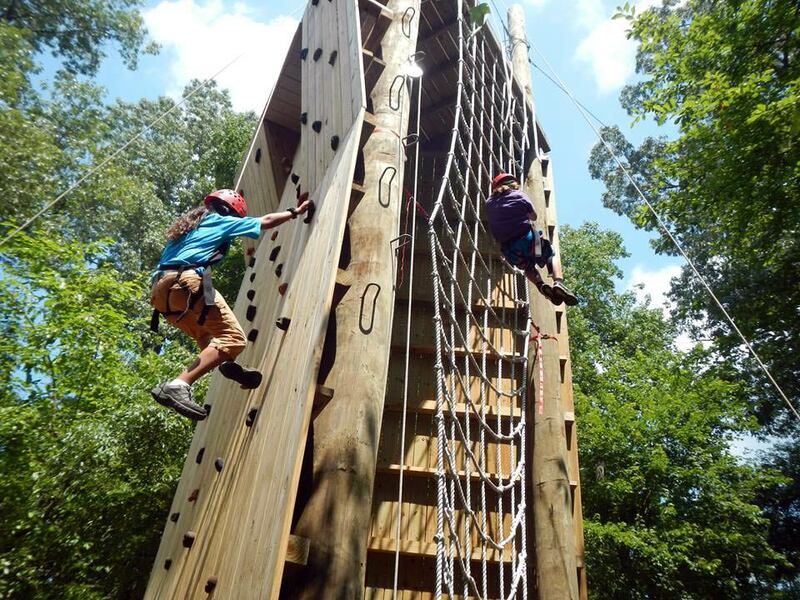 The wall reaches 30-feet high and is good for climbers of all abilities. 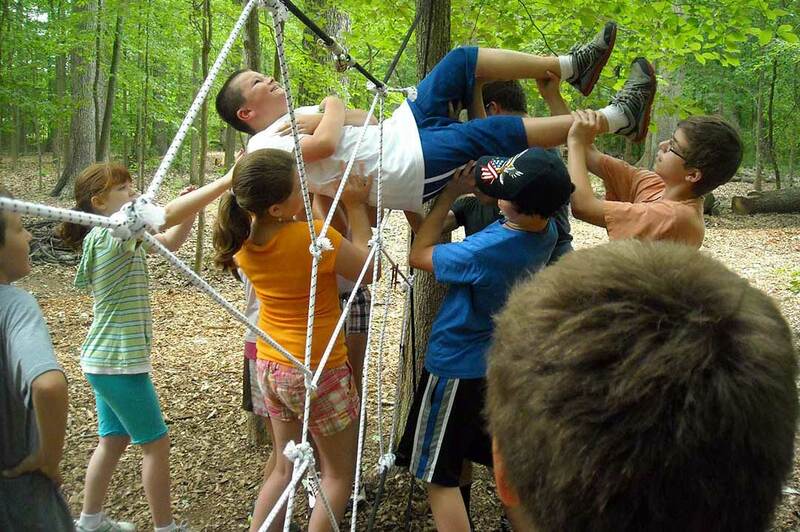 This is a series of games and low ropes elements that help small groups focus on communication, trust, problem-solving and leadership skills. 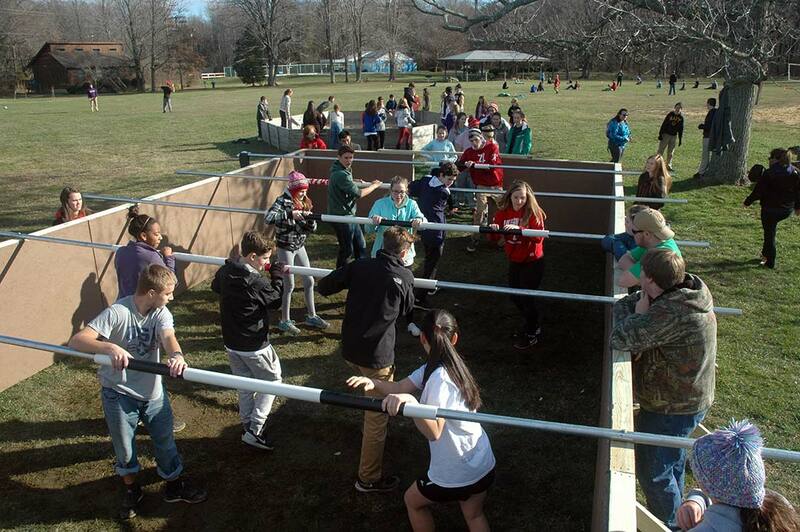 Groups travel through the course overcoming different obstacles that include some physical skills. This does require staff supervision and leadership. Participants are not harnessed into any safety equipment and remain under 8 feet off the ground. Depending on needs, we can run multiple groups at the same time. We offer small watercrafts for individuals and groups to rent. All life-jackets and paddles/oars are supplied. The West River Center does NOT provide any lifeguarding supervision for water activities — groups should provide their own adult supervision. 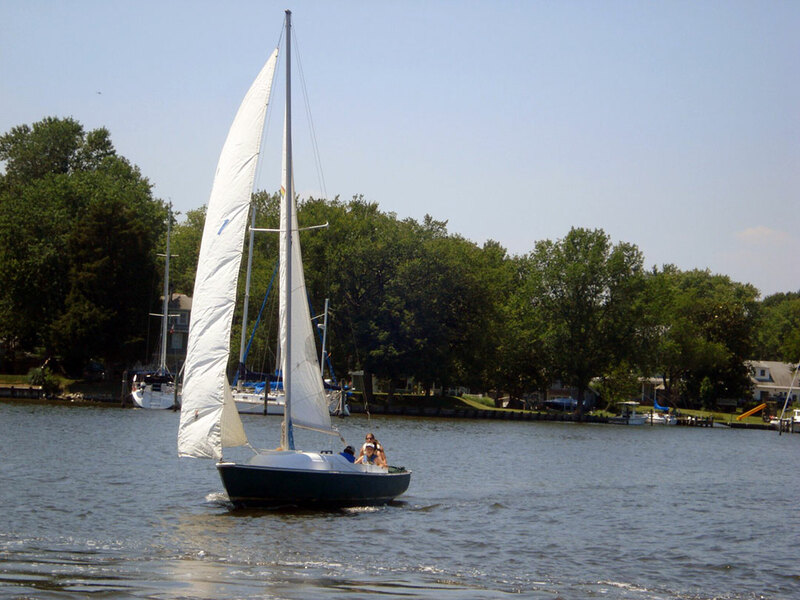 Sailboats are available to rent to those who can demonstrate sailing knowledge/skill. Please call our office for current rates. Open between Memorial Day and Labor Day only, guards are provided. 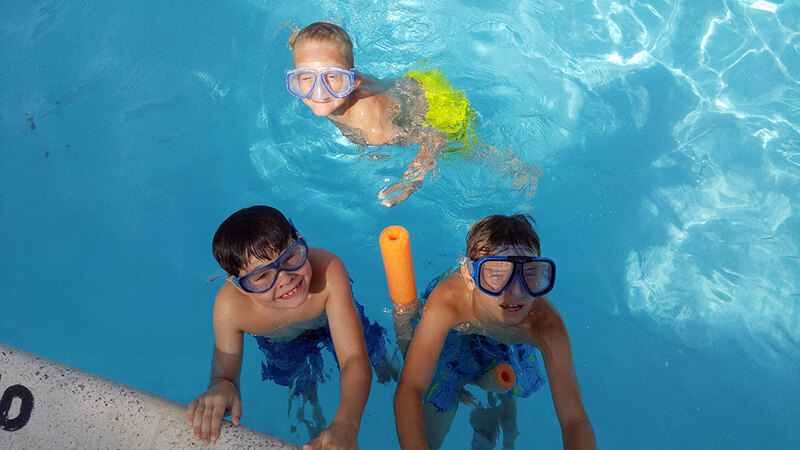 Rentals during this time include 2 hours at our pool, Saturdays 2-4 pm, for general swim for all groups on site. The following opportunities are available for all groups on site at no additional charge. All facilities are outdoors.